Here my card for today. I made a CAS-style card. It is hot here and I love to trink tea when it is hot. 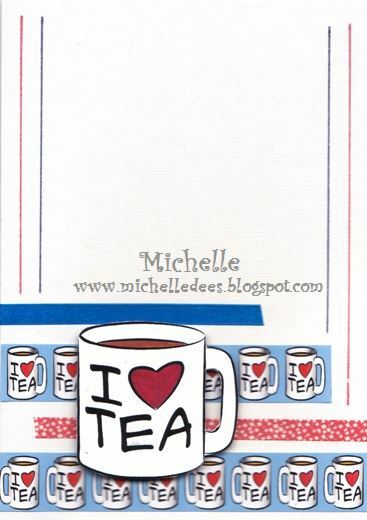 I used the image Cuppa and the backingpaperset Tea&Bickies. HERE can you find lots of more images. Want to see more about the card take a look at my BLOG. Have a nice weekend and enjoy the nice weather with a cup of tea. Naughty or Nice - Christmas in July! You're a Classic using Mini Cooper.